just a 2 minute call! Free road tolls – your tolls are included! We guarantee you’ll be satisfied with the superior quality of our vehicles when you hire a minibus or van through Sydney Minibus Hire. 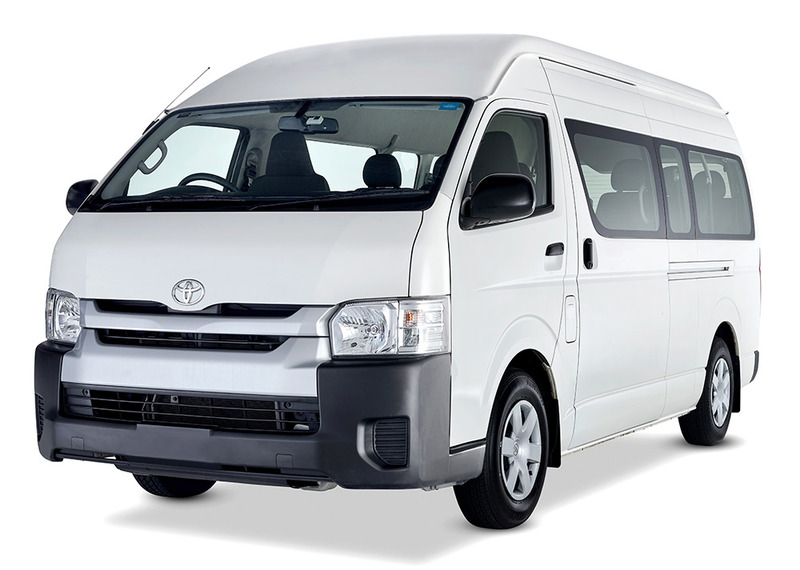 All our 12 seat Toyota Commuter minibuses are late-model vehicles, complete with all the features you would expect to find in a modern vehicle. They are immaculately presented, free of promotional signage and advertising and expertly cleaned and detailed so you know you will arrive at your destination or event in style. 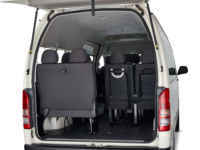 They can comfortably accommodate 12 people, with two large and two medium sized pieces of luggage. We are also able to provide a luggage trailer free of charge if you will be travelling with extra luggage—just let us know when you make your booking and we’ll arrange the rest. Our 12 seater minibuses feature automatic transmission, reversing camera (in some models) and power-steering to make for an easier drive. All vehicles are air conditioned so you can keep cool during the hot Sydney summer months. Our minibuses are also equipped with central locking and modern music systems which include radio, CD, MP3, AUX, USB and Bluetooth players. You do not require a special licence to drive our 12 seater minibuses; they can be driven by anyone over 21 years with a standard car driver licence. If you are travelling with children, each of our minibuses are appropriately fitted with three child restraint anchor points so your little ones can also travel safely. 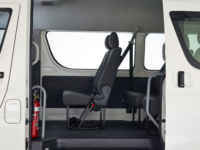 We can also provide Australian Standards Approved baby or booster seats at no extra charge. Simply let us know the number and type of seats you require at the time of booking and we have them ready for when you pick up your vehicle. Our vehicles are regularly serviced and maintained and in excellent mechanical condition, however, we also include 24-hour emergency roadside assistance through NRMA with your hire so you have added peace of mind in the unlikely event that you require emergency assistance. 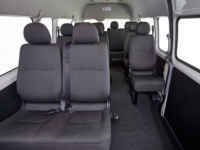 If you are happy to drive your minibus yourself, the self-drive hire option is for you. When you select the self-drive hire option, you can choose to collect your vehicle from our Sydney office in Caringbah, or from another more convenient location (depending on the hire). Our airport pick-up and drop-off service is a popular option for many of our interstate and international customers who are flying into Sydney Airport. We do not charge additional fees to nominate multiple drivers, however all drivers must be over 21 years of age and hold the appropriate driver licence for that size vehicle. You can still drive our 12 seater minibuses if you don’t hold an Australian driver licence, however, if your overseas licence is not in English, you will need to provide either a valid International Driver Licence or an official English translation document. Probationary (P plate) and Learner (L plate) drivers are not permitted. If you don’t hold a valid licence or don’t want the stress and hassle of driving and navigating around unfamiliar roads, our charter service is the perfect solution. With our charter service, we take care of everything for you so you don’t have to worry about a thing. We provide a professional uniformed driver who is fully licenced and authorised to drive public passenger vehicles. For the duration of your journey, you’ll be in good hands. Our charter service is typically a popular option for business/corporate travellers, sporting teams, school groups, community groups, wedding parties and birthdays, as well as other various trips, tours and other events. Your driver will pick you and your group up at a nominated time and location and drive you to and from your event/s. If your nominated pick-up and drop-off locations are not the same or you need several stops along the way, that’s not a problem. We’re also happy to organise charter services for multi-day trips and extended journeys. Whatever your requirements are, we’ll be able to arrange a customised service where everything is taken care of so all you need to do is sit back, relax and enjoy the ride. Why do people choose us? 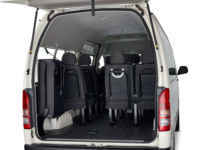 It’s simple—we are the specialists in minibus hire in Sydney. 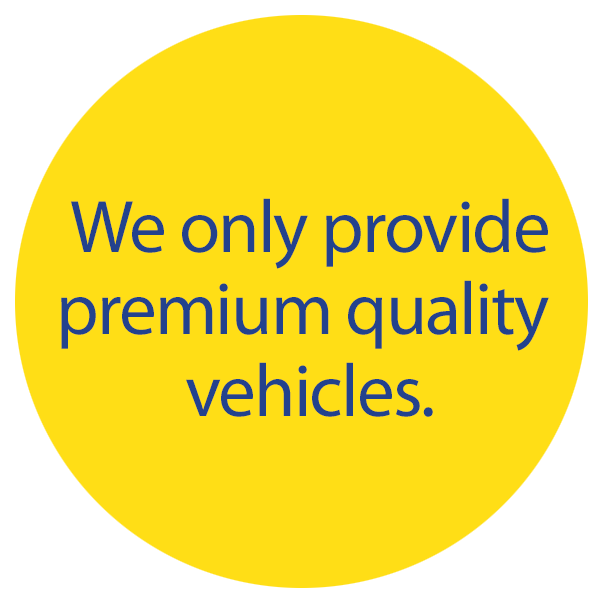 We only provide premium-quality vehicles. Our 12-seater minibuses feature automatic transmission and are equipped with air-conditioning, power steering, reversing camera (in some models), central locking and modern music systems. They are clean, well-maintained and free from any promotional signage and advertising. 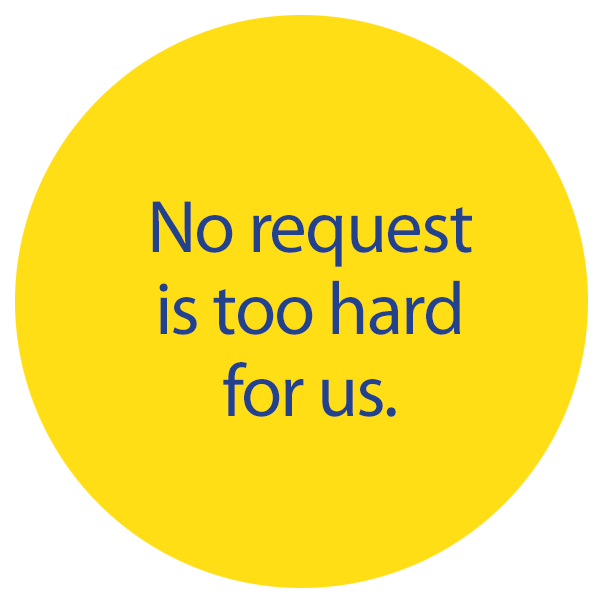 No request is too hard for us to accommodate. Our team motto is ‘we are the can-do people’—whatever your unique needs and requirements are, we can provide a minibus solution to make the logistical planning for your trip or event easy. 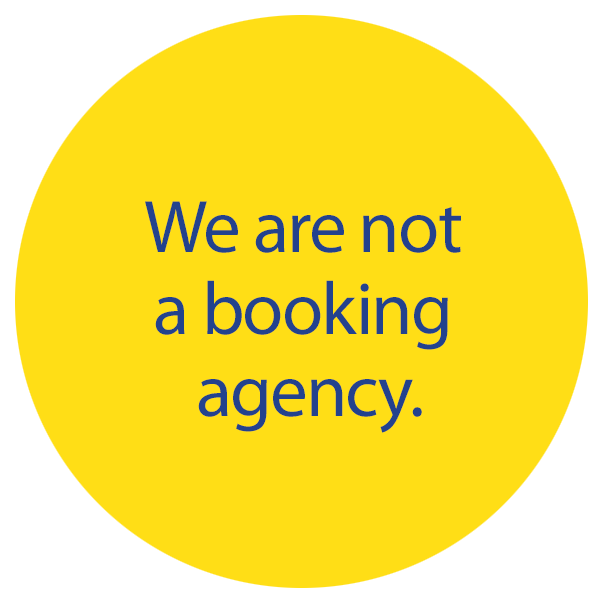 We are not a booking agency. We own and operate all our minibuses and minivans, meaning we can provide a complete end-to-end customised service for our customers. Because we deal exclusively in minibus and minivan hire, we know what our customers need and value better than our competitors do. 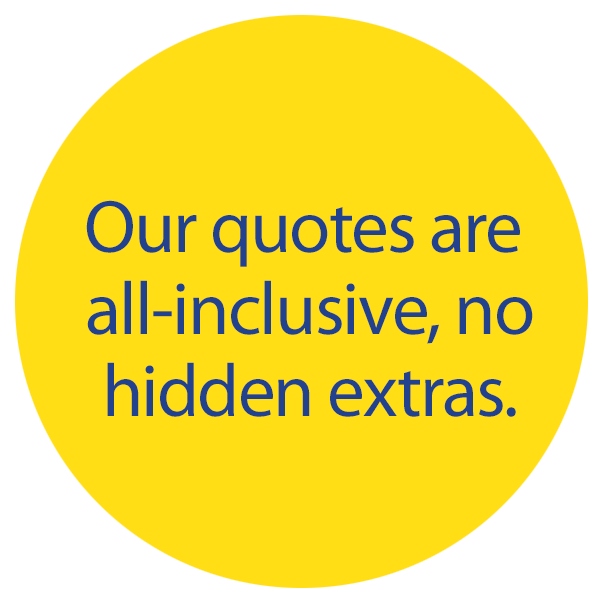 Our quotes are all-inclusive. When we provide a quote, you can rest easy knowing you won’t be charged any additional fees, taxes or surcharges. We include free access to toll motorways Australia-wide, comprehensive insurance and any add-ons you request like a baby seat, booster seat, GPS navigation system or luggage trailer with your booking, so you know exactly what your hire will cost from the time you receive your quote. Click to call (02) 9524 7007 for an immediate over-the-phone personalised quote. Alternatively, you can also contact us by email or using our online booking enquiry and we will respond promptly. We accept payment by cash, all major credit or debit cards or by direct deposit and don’t charge any additional fees or surcharges for payment processing. Corporate clients can also request to be invoiced for their vehicle hire. You will need to provide a credit or debit card to secure your booking. 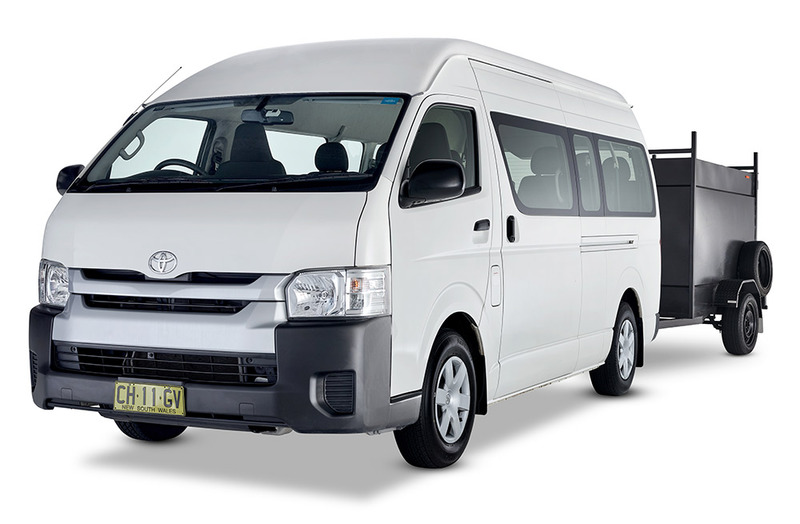 Sydney Minibus Hire has been hiring minibuses to companies, sporting groups, universities, colleges, schools, families, church groups, tour groups and government departments for over 30 years!